The SDP-600 employs a soundboard to support its speaker system so that it sounds most optimized when played. Black polished cabinet with mahogany accent make up a elegant design. 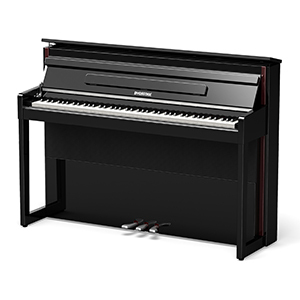 For those who want a grand piano but without the required space to host one such monster, the SDP-600 would be a valuable choice. All specifications and features are identical with the SGP-600 besides the cabinet design.